Thank you for your question. Unfortunately this cartridge will only work in the Samsung SCX-4300. Do you take used SCX-4300 cartridges? This company sometimes offer a free pick up service for cartridges. How can I find out how much black ink is in my Samsung SCX-4300 toner cartridge? What's the price of Samsung SCX4300 toner? We sell both genuine and compatible black MLT-D1092S toner cartridges for the Samsung SCX-4300 printer. The current cost of these items should be displayed above in red / grey font on the right-hand side of the page. We offer free UK delivery on Samsung SCX-4300 toner cartridges so the price you see is the price you pay. Can you please advise the cost of postage (normal delivery) of Samsung SCX-4300 toner cartridges to Portugal? Regards, Joan Singleton. unfortunately, we don't deliver outside of the UK. I have ordered an SCX-4300 series toner cartridge. Why am I geting MLT-D1092S? The cartridge that you require for the Samsung SCX-4300 is referred to as the genuine Samsung MLT-D1092S toner cartridge. As the cartridges usually work in a number of different printers they usually have a different code to those used to describe the printer model. 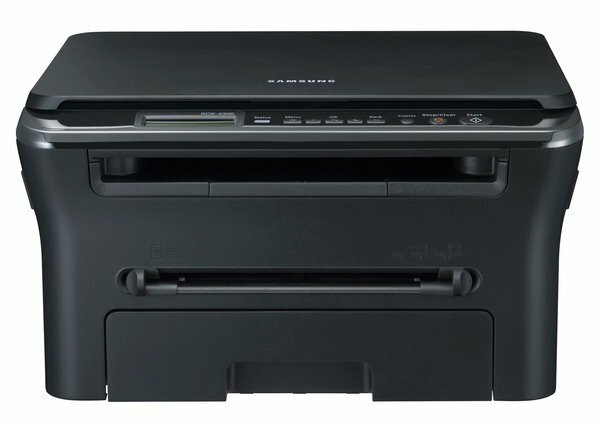 The Samsung SCX-4300 can perform a myriad of tasks, from printing to scanning and copying. Made for a busy environment, the Samsung SCX4300 is capable of producing up to 18ppm which will make you want to use your SCX 4300 more regularly. Constant use of the Samsung SCX-4300 can lead to a large bill, however, as Samsung SCX 4300 cartridges like the black Samsung SCX-4300 toner cartridge aren’t available at a cheap price. At CartridgeSAVE we’re committed to helping you save on the SCX-4300 cartridges and you can compare our cheap Samsung SCX-4300 toner prices to find out. We’ll find you great Samsung SCX-4300 toner cartridge prices and give you great service too! We guarantee that you’ll be entirely satisfied when you purchase your Samsung SCX-4300 toner cartridge by sending the Samsung SCX 4300 cartridge off with a money back guarantee, so you can try your Samsung SCX-4300 toner out and see if the SCX4300 toner cartridge is good for you. We also send the Samsung SCX-4300 cartridge off with free delivery so that you can get the Samsung SCX-4300 toner cartridge with as little fuss as possible. The Samsung SCX-4300 is a laser printer that can quickly and effortlessly handle text documents, but with repeated graphics printing, runs into some problems with grey patches. This mono printer sticks to what Samsung claims it will do: print quickly and in bulk. The USB 2.0 connection for the computer allows for rapid communication between devices, and even the scan function yields fast results. While optimal for home use, the scan and copy functions mean that this printer is adequate for small business use. The SCX-4300 looks sleek and professional; its black facade with LCD display and 16-button control panel looks equally fitting at home or in the office. The LCD panel, unfortunately, is not backlit, but can still be read clearly under normal lighting. While it sits a bit wider than other standard A4 printers, this saves space in the width of the device, and accommodates the left-to-right scanner in a compact fashion. Unlike most printers, the top of the scanner does not swing up, but instead has a spring-loaded mechanism to lift the cover just enough to insert a single sheet of paper. There is a pull-out extension for printed pages, but this isn't necessary to keep pages from dropping from the printer with small print loads. The generous feed tray has a 250 sheet capacity, and there is a single sheet loading slot at the bottom for special print jobs. The speed of this printer approaches 14 pages per minute (pages per minute) for text-heavy print jobs, which is a rare example of print speed approaching the manufacturer's claims, in this case, 18 pages per minute. The cost of the printer itself and the cost of supplies means that the SCX-4300 is an affordable and reliable machine. The control panel and LCD displays are easy to navigate, meaning that the printer can be used right out of the box with minimal prior knowledge of the SCX-4300's features. The included printer cartridge only prints about 1,000 pages, which is about half of the capacity of most cartridges. With graphic-intensive grey scale print jobs, there is a tendency toward banding and grey patches in the middle of the image, leading to sub-par pictures. Printing scans of grey scale images usually gives lacklustre results, with even more banding and patches than print jobs from the computer.